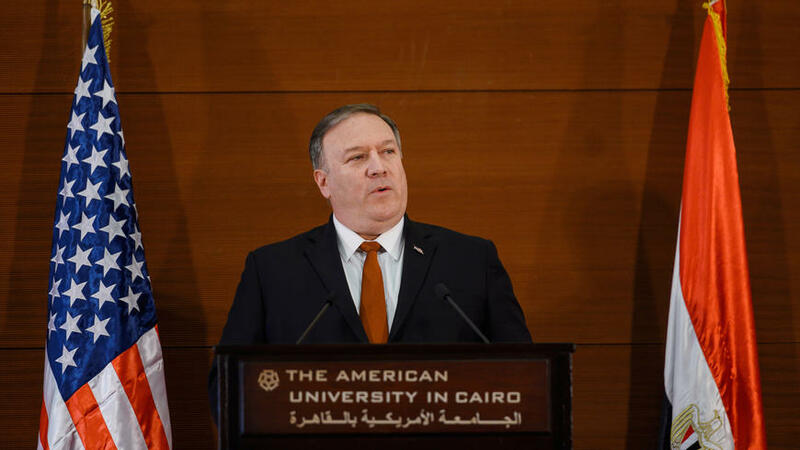 US Secretary of State Mike Pompeo’s speech at the American University in Cairo last week was clearly meant as an antidote to Barack Obama’s regional policy, or lack thereof. Pompeo openly repudiated much of the previous administration’s initiatives, in particular those related to Iran. He accused Obama of neglecting America’s friends and partnering with its enemies. All that has changed since Donald Trump became president, Pompeo asserted. However, the changes were not always clear in his exposition. While defending the US Jerusalem policy, he was vague about what Washington plans to do about peace between Israel and the Palestinians. It was also unclear what the administration is prepared to do to help Iraq “build a nation free of Iranian influence” or what it is going to contribute to Iraq’s stabilization to prevent a Daesh resurgence. He was also unclear about what the recent changes in Syria policy would mean in reality. In the region, Pompeo’s speech was received more positively, although skepticism here also abounds about the constant wavering of US regional policies. MESA may be the most promising vehicle for translating the Trump administration’s ideas into action. MESA working groups and committees met throughout 2018 to discuss plans for security and political cooperation. The day before Pompeo gave his Cairo speech, the MESA working group on economy and energy had an encouraging meeting in Muscat and was able to come up with concrete proposals to help the countries of the region and the US come closer to achieving their shared goals. Despite those positive elements in Pompeo’s speech, it was severely criticized back in Washington and New York. Much of the criticism was probably partisan or motivated by unhappiness about Trump’s style or his domestic policies, not about Pompeo’s speech per se. In the region, Pompeo’s speech was received more positively, although skepticism here also abounds about the constant wavering of US regional policies. His strong expressions of commitment to the region’s security, in particular, were well received, as well as his commitment that the US would honor its promises and not abandon its friends and allies. “Our words mean something again. If we commit American prestige to an action, our allies depend on us to follow through,” Pompeo promised. Despite these reassurances, the main questions remain: Will US policy in the future be more predictable? Will it live up to the promises Pompeo made in Cairo? Stung by the vacillation of the previous administration, people here are waiting to see how the actions of the US under Trump unfold in reality. US diplomats in the region will have to make great efforts over the next few weeks and months to maintain the momentum Pompeo’s speech created. In particular, breathing new life into traditional US partnerships with the Gulf Cooperation Council countries and solidifying the work of the MESA working groups will be key, with the aim of holding a summit between MESA leaders during the first half of 2019.